Leadership — What Is It and How Do we Improve It? As I’ve written in previous columns, research conducted by my organization, the Institute for Public Sector Employee Engagement, has revealed leadership and managing change is the number one driver of employee engagement in both the public and private sectors, including in government. This parallels other research and results, including the annual “Best Places to Work in the Federal Government” rankings. Each year the rankings have been produced, since 2003, leadership has been the number one driver across the entire federal government. But what do we mean by leadership and managing change? 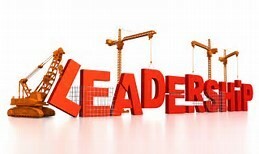 Leadership, in particular, has many different meanings. Google it and you’ll get more than 815 million hits. Plus, it seems each leadership definition is accompanied by strategies and training (which you can purchase) to master it. Given what one observer has described as this “tower of babble” around leadership, it’s important to define terms. During the Institute’s research, we administered our employee engagement survey to a nationally representative sample. Our goal was to determine the level of engagement in the U.S. workforce, and also identify the drivers of engagement. Our survey has nine workplace dimensions, including “leadership and managing change.” Each dimension includes a series of questions assembled from other leading public sector engagement surveys. Therefore, our leadership construct focuses on visibility, actions consistent with the organization’s values, communication, decisionmaking and ability to manage change effectively. Unfortunately, even though leadership and managing change is the top driver of engagement in government, it is also the lowest scoring dimension. Specifically, 44 percent of private sector employees are fully engaged, compared to 38 percent of public sector employees. In government, we found wide variation by level. In local government, 44 percent of employees are fully engaged, which equals the private sector percentage and is significantly higher than the federal (34 percent) and state (29 percent) fully engaged levels. Leaders should understand the business case and lead with engagement in mind. Decades of research have shown that improving employee engagement can improve organizational performance. While much of this research has focused on financial performance in the private sector, engagement also drives outcomes that matter in government include strategic goal achievement, customer service, productivity, innovation and retention of valued employees. Our recent research shows fully engaged employees are up to three times more likely (depending on sector) to believe their agencies or jurisdictions are successfully achieving their missions.This builds on previous research by providing additional support for the argument that government leaders should focus on measuring and improving employee engagement. Moreover, improved performance can also help boost citizen confidence in, and satisfaction with, government. Focus on leadership development. The relatively low government score in leadership and managing change contains potentially good news for government. By that I mean the enormous potential to improve engagement—and organizational performance—by focusing on leadership development.This is particularly important now, given the aging of the public sector workforce. Government employees are, on average, older than private sector workers. Plus, public servants can typically retire at a younger age than their private sector counterparts. This retirement bulge will create severe leadership gaps across all levels of government.Therefore, government organizations should focus on developing leadership competencies – including the ability to build and sustain high engagement organizations. Leaders should be trained in these competencies and then be held accountable for mastering them.Government agencies should also select and onboard leaders effectively. This includes evaluating whether candidates for leadership positions have the potential to build and maintain high engagement workforces. In addition, the public sector needs to adopt succession planning strategies, offer executive coaching and make long-term investments in leadership training and development. Manage change more effectively. Government agencies also need to focus on the other half of this low scoring area by understanding and managing change more effectively. This includes communicating the reasons for, and the process to implement, change. If employees understand the reasons for major changes (even if they do not agree with them), they will be more likely to have confidence in their leaders’ decisions to implement those changes.